Does Our Epigenetics Cause Cancer? 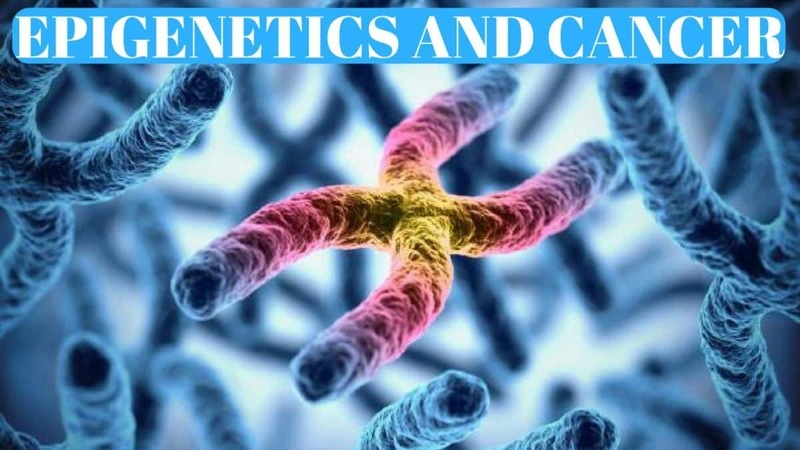 Does our epigenetics cause cancer and if so, how? The PH of the environment around our cells, or our epigenetics, is determined by several factors. The things we eat and drink. What we breathe in, what is absorbed by the skin and also, electromagnetic fields or frequencies. So, does our epigenetics cause cancer? When genetics are referenced we are talking about the inside of the cell. Inside the cell is the nucleus and it contains an intricate molecule called DNA. DNA is the schematic that will allow the production of new parts that a cell is in need of currently. DNA just waits for direction as it is not sure what it needs to do. It has to be instructed on what it needs to do next. As an example, a cell may require additional insulin receptors, or have the need to eliminate some insulin receptors. Either way, it must be told what to do for every specific task. The DNA responds to inbound signals. Where do these signals come from? They come from the extracellular fluid that surrounds the cells. The fluid around the cells is made up of what comes into the environment and is also made up of the stuff that doesn’t exit that environment! What’s important to keep in mind is that what comes into the cell is perfect and contains 100% nutrients, metabolic waste will still be created. The metabolic waste is created as a result of metabolism. If this waste doesn’t leave, it will accumulate, and this isn’t good for health. Does our Epigenetics Cause Cancer to Answer That We Must First Understand How it Works! When these waste products exit, they leave through our veins and lymphatic system. The veins and lymphatic system, unlike the heart, don’t have a pump. They rely on the contraction of a muscle in order to get these waste products out. Muscle contraction facilitates the drainage of the extracellular fluid. If you’re a couch potato and not engaging in any sort of physical activity, then your muscles won’t contract and the swamp will not be drained. Understanding how this waste is cleared, it should become crystal clear why people need to exercise, eat right, go to sleep early, and drink clean water. These things are incredibly important for true health. Knowing all of these things will help people make the wise decisions in terms of their health. No longer will they have to ask, should I smoke? Should I eat these donuts? They will know better! The genetics are the blueprint and it needs to be told what to turn on and what to turn off. The epigenetics, which is the area around or above the cell is what tells the genetics or the DNA what it needs to do. To answer the question of what causes cancer, clearly, it is the epigenetics. Again, the epigenetics is the environment around the cell that determines what the cell does. The genes that get turned on and are in a chronic fermentative state from the waste as discussed above is what leads to cancer. These genes that are turned on to support the chronic fermentative state are what’s called oncogenes or cancer-related genes. These genes are not there to make cancer, they are there to support fermentation. The problem is the fermentative process is itself cancer. When we realize that the epigenetics that surrounds the cells is what causes the upregulation of the oncogenes that become cancer, then what we need to do is change the environment around the cells. This is what helps prevent cancer and successfully treat cancer. Reach out to us, we can help if you or a loved one are dealing with cancer.